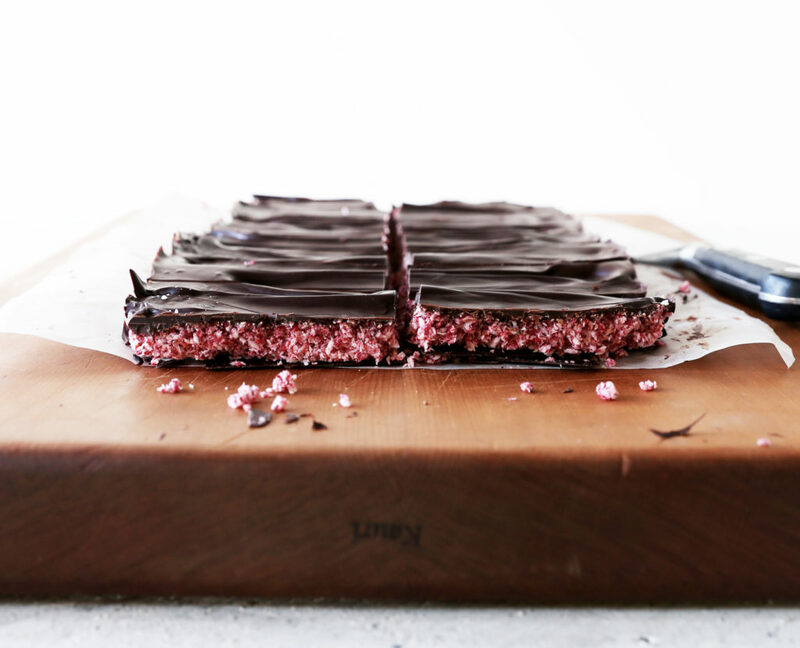 This dark chocolate cherry ripe slice is a revision on my original homemade cherry ripe recipe that I posted way back at the start of this blog. Without throwing too much shade on the original recipe (which is still delicious! ), this new version really ups the game. I’m not eating any sugar at the moment so this recipe was a request from Nick as he’s been reminiscing about the days when I used to make “normal sugary desserts”. 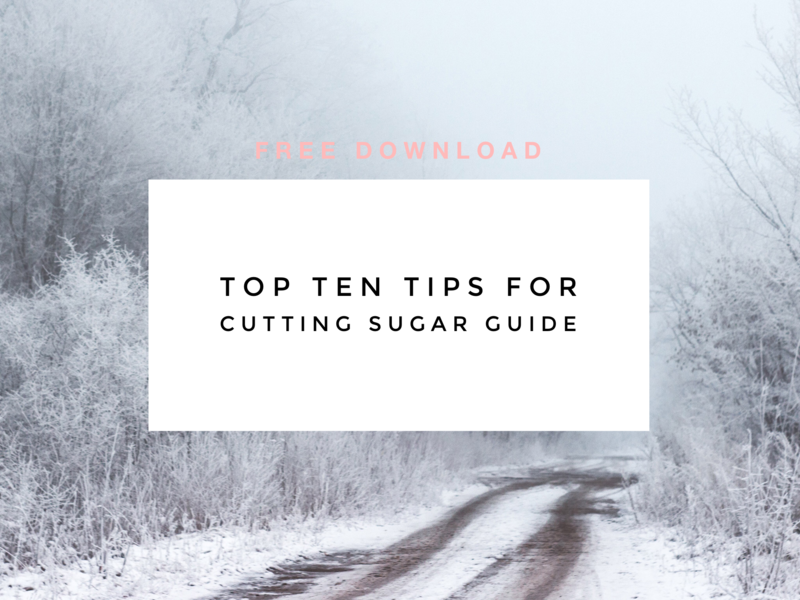 I completely understand how he feels as anyone who hasn’t trained their tastebuds to go without sugar for a while, will likely be disappointed by the lack of “sugar rush” from my last few recipes. So, in consolation I offered to make him any sweet treat of his choosing, and out of all the recipes in the world he chose my cherry ripe bars and some oaty anzac biscuits. In his position I think I would have asked for a molten chocolate pudding and maybe a salted caramel creme brûlée! But I guess that’s why I’m on a sugar cleanse at the moment and he isn’t. Anyway I ended up tweaking my original cherry ripe recipe to use freeze dried cherries and raspberries to give the slice a much more intense flavour and colour. Another benefit of using freeze dried fruit is it doesn’t contain any added sugar or vegetable oil like the standard dried versions, so even though freeze dried fruits are more expensive they’re worth it in the long run. In the revised recipe I used pure maple syrup to sweeten the filling and coconut oil to bring it all together. For the chocolate coating you can either use a store-bought (ideally dairy-free) dark chocolate, or for an entirely raw and refined sugar free version you can make the raw chocolate coating. I have included instructions for both options in the recipe below. And that’s pretty much it! This recipe really is that simple. 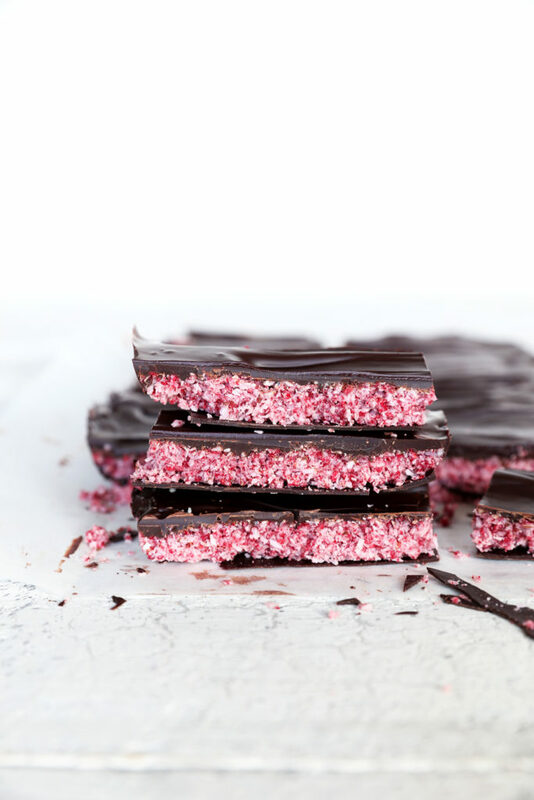 If you like the sound of a luscious coconut and tart red cherry filling covered in rich dark chocolate, then this recipe is for you! I hope you enjoy this dark chocolate cherry ripe slice as much as Nick has enjoyed eating it, and hopefully I’ll be off my sugar free diet soon and enjoying it with you all too! Did you like this dark chocolate cherry slice post? Any questions or comments about the recipe? Leave me a comment in the section below, I love to hear from you! 300g dark chocolate (62% or 70%, dairy free) OR see below for a raw chocolate recipe. Line a small brownie tin (e.g. 18cm x 30cm or 20cm x 20cm) with baking paper. If you’re using store bought chocolate, melt by placing in a heat proof bowl set over a pan of boiling water. Ensure the bowl doesn’t touch the water to avoid overheating the chocolate. To gently melt the coconut oil, place in a heat proof bowl set over a pan of steaming water with the heat turned off (you could use the same pan of water as the chocolate, just switch bowls the bowls over as needed). Place the remaining ingredients into a food processor and blend until well combined. The mixture should be slightly sticky and hold together when pressed. Spread one third of the melted chocolate over the bottom of the lined tin and place in the fridge or freezer to set, for 5 to 10 minutes. When the chocolate layer is just firm to touch remove from the fridge and spread the cherry mixture over evenly. Press down well. Pour the remaining chocolate on top and spread evenly with a spoon or palate knife creating a decorative ripple effect. Return the slice to the fridge to set, approximately 10 to 20 minutes. When the chocolate is just firm, remove from the fridge and slice into bars using a hot, dry knife (e.g. dip the knife into steaming hot water and then dry). Store the slice in a sealed container in the fridge for up to 2 weeks, freezes well. Bring a small pan of water to the boil then take it off the heat. Place the cacao butter, coconut oil and salt in a heat proof bowl and place on top of the pan of steaming water, stirring occasionally until fully melted. Melting the ingredients using this method ensures the temperature of the ingredients doesn’t go above 47ºC thereby keeping the nutrients in them intact. Once melted remove the bowl from the heat and stir in the remaining ingredients. The raw chocolate is now ready to be spread into the tin as described above.